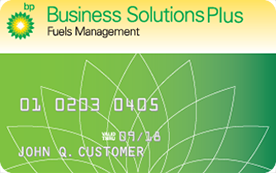 Get access to high-quality fuels at thousands of BP or Amoco locations, while providing control over how your fleet cards can be used. Keep an eye on your fleet by requiring a PIN to be entered before a transaction can be completed. You can also set prompts to ask driver number, vehicle number, or odometer reading before anything can be purchased. Access account data information 24/7 through our easy-to-use website. Control purchasing ability for each card, including the ability to shut cards off or request new cards. Immediately monitor after-hours purchases, daily transactions, and daily dollar amounts. Your system may be set to flag purchases outside the established limits. *Only for fuel purchased at BP or Amoco branded locations. Account must be in good standing. Rebates are subject to change at any time without notice. Rebates may not be allowed where prohibited by law and apply only to fuel purchases made at participating BP or Amoco branded locations in the U.S. Rebate not valid for off-road diesel, aviation, bulk fuel, propane or natural gas purchases. $10 account fee may apply for accounts not fueling 5,000 gallons a month.